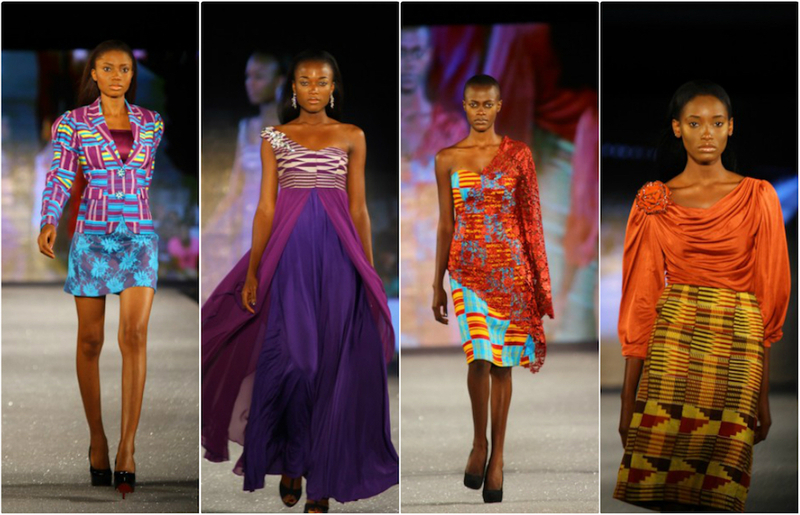 Scroll down to see the latest word in college fashion, along with runway fashion, street fashion, international designs. 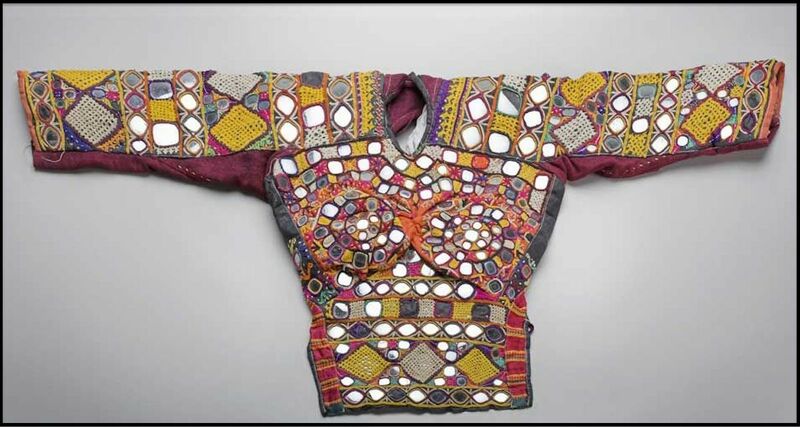 Scan this reader-friendly visual list of tools, textiles, wearable art, and all things fashion, from bygone times to the present day, and from all over the world. Scroll further down for related links to college fashion schools Near You, Fashion outlet stores Near You, and Free sewing patterns. 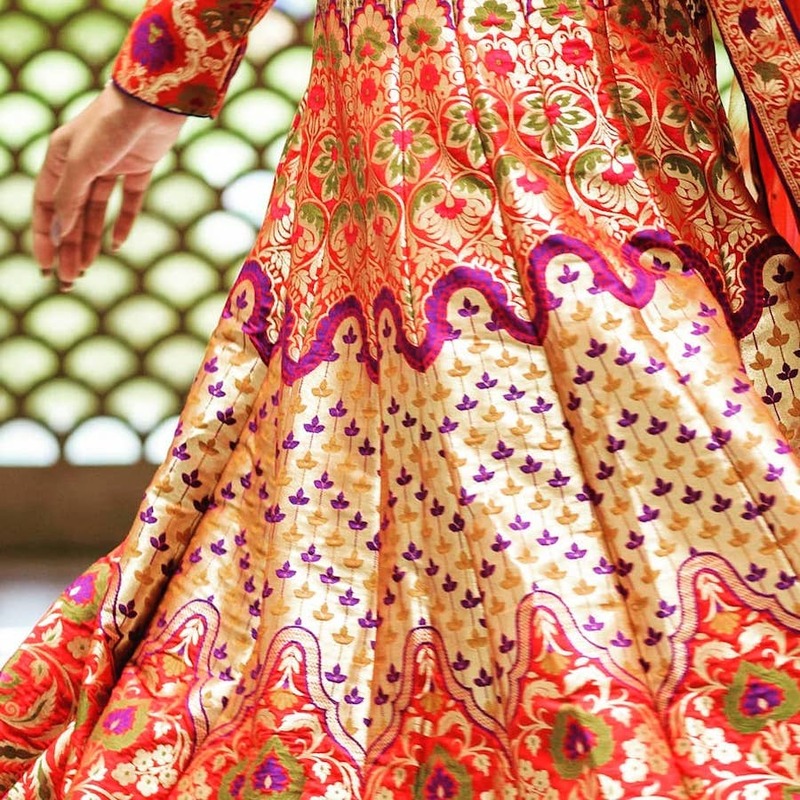 KAFTAN: A light, roomy, long-sleeved, ankle length ladies' coat from India. 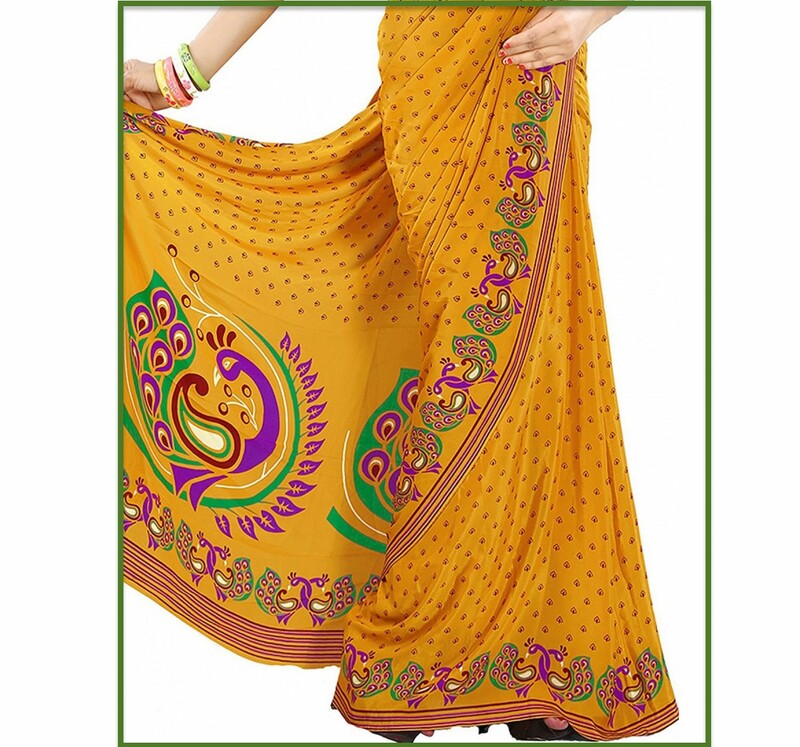 KAIRI BUTI: An Indian floral motif featuring a stylized mango. KALA BATTON: A type of silver or gilt gold fiber, often used as embroidery. KALGA: An Indian design motif featuring an abstract Cypress pattern. This design eventually developed into what we now know as paisley. KANCHALI: Like a Choli, a Kanchali is a short top worn under a sari by Indian women. Shown below, a Kanchali designed in 1960. KANGA: A large, rectangular piece of printed fabric, bordered on all sides with contrasting colors or patterns. Originally designed in Africa. 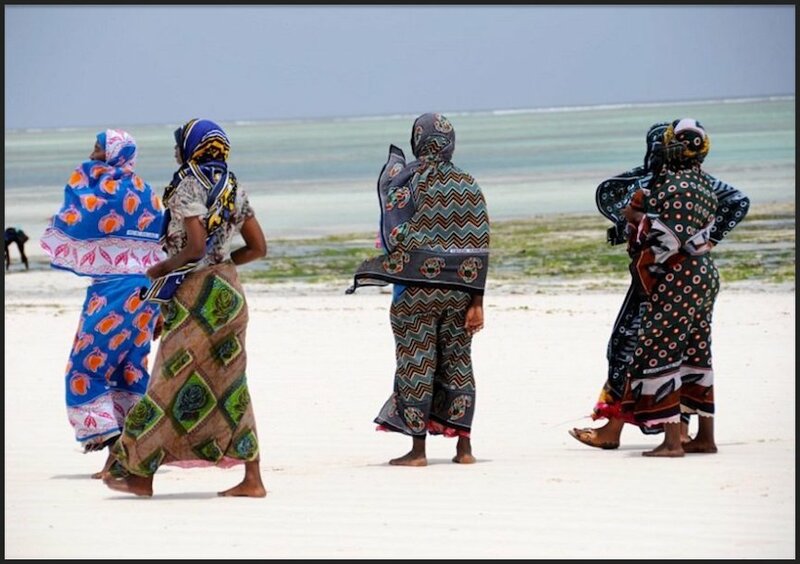 Below, a group of east African women wear kanga wraps at the beach. 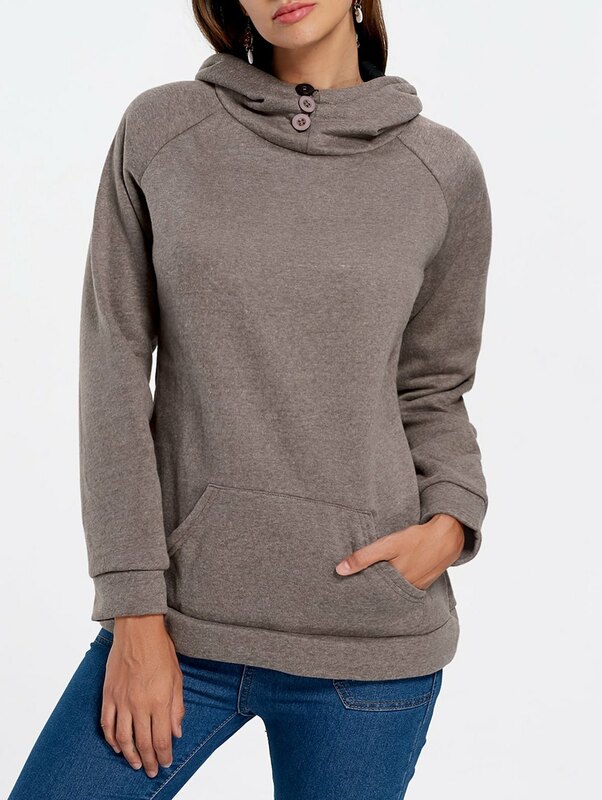 KANGAROO POCKET: An outside front pocket with open ends at each side, often seen on hoodies and pullover sweatshirts. A popular college fashion trend. KANJARI: A backless, blouse-like upper garment that is longer in the front, somewhat like a halter top. 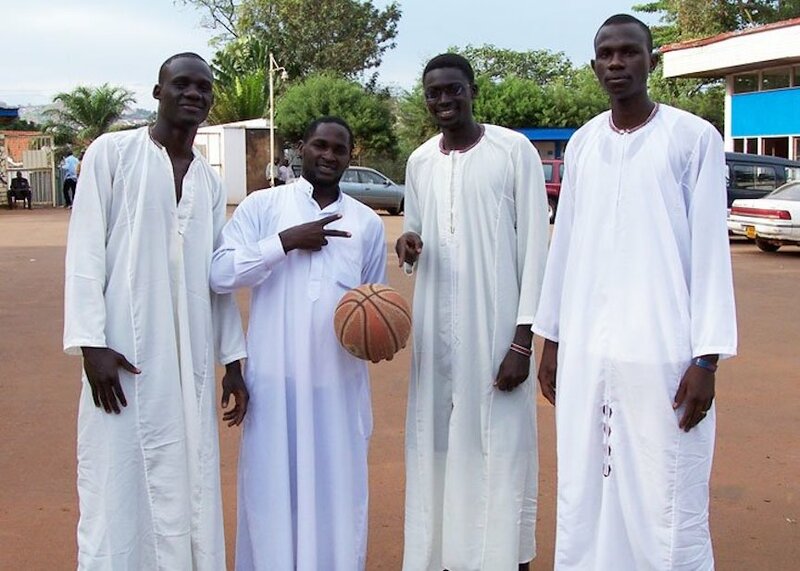 KANZU: A style of white robe worn by African men of a particular region. 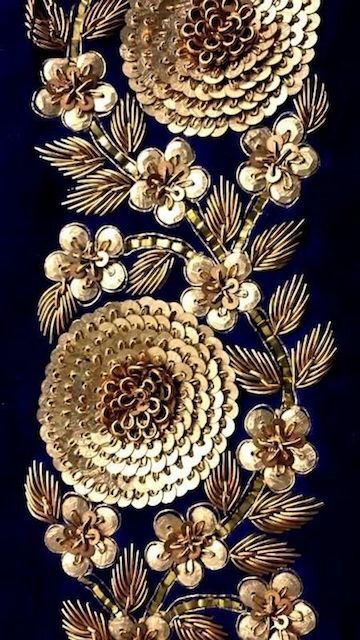 KARCHOBI: A technique where metallic threads are sewn onto a satin or velvet background, resembling embroidery. 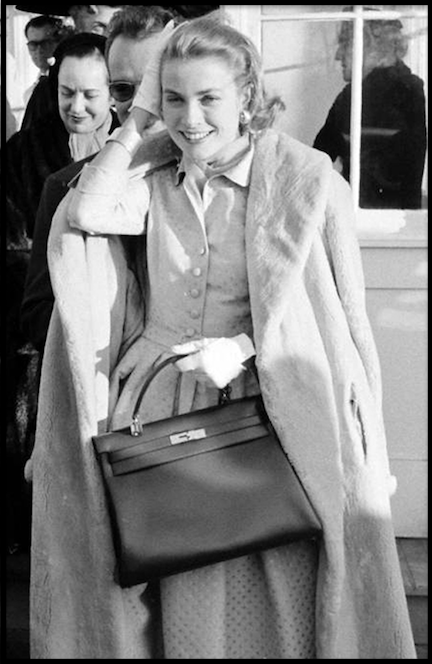 KELLY BAG: A style of leather carry bag popularized by Grace Kelly, who was also known as Princess Grace of Monaco. Below, Grace Kelly in 1956, carrying a Kelly bag. 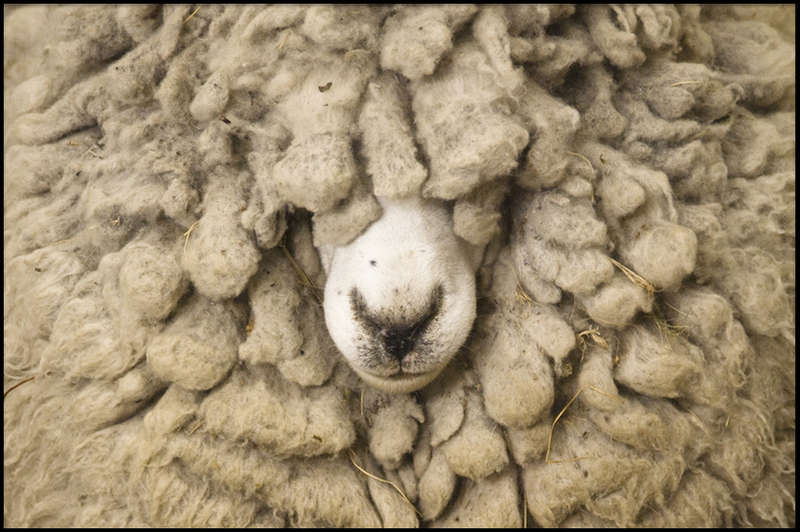 KEMP: A coarse wool fiber. KENAF: A textile made from plant fibers, similar to jute. 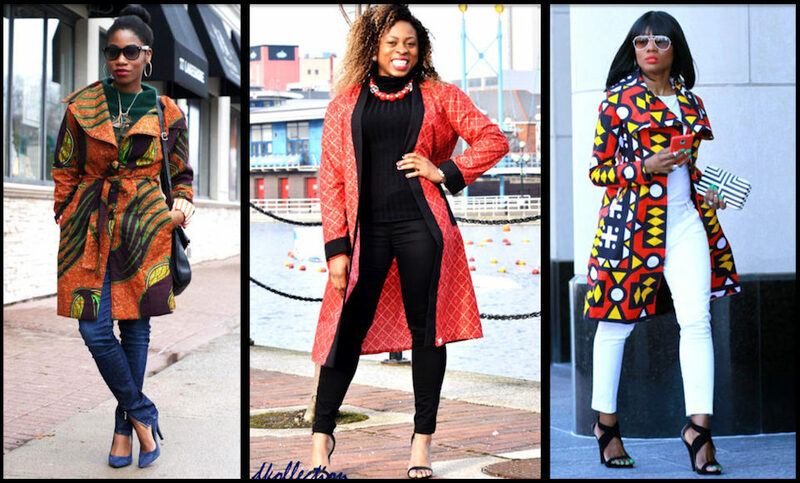 KENTE COTH: An African textile made from interwoven strips of silk-cotton blended fabric. 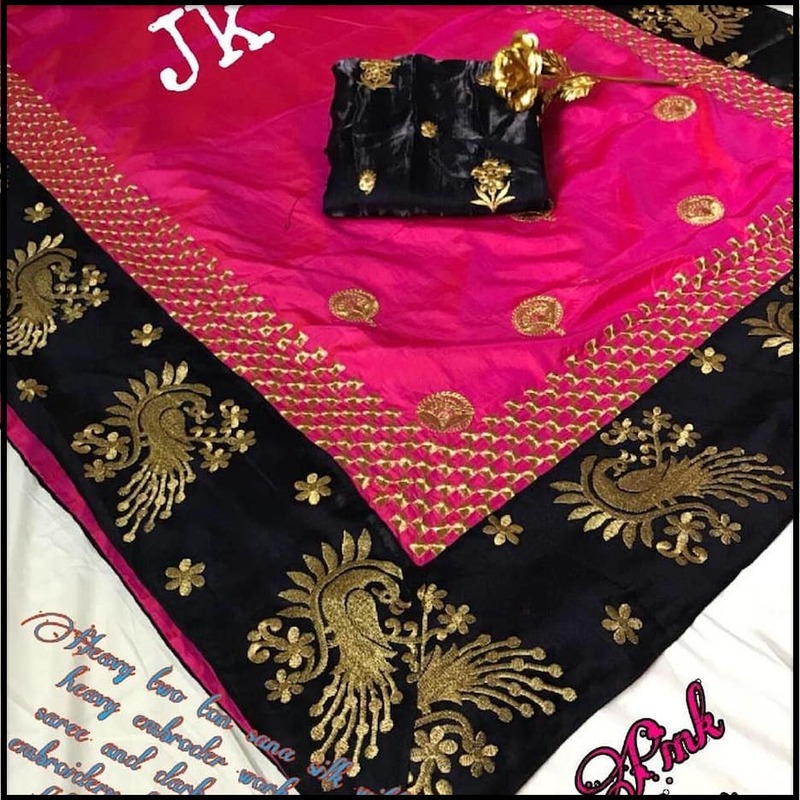 KERCHIEF: A large, lightweight, triangular or square piece of hemmed fabric, originally meant to be used as a head covering. Sometimes called a bandana, or a hijab, depending on where and how it is worn. KERSEY: A lustrous type of woven wool or wool blend fabric, often used for coats. 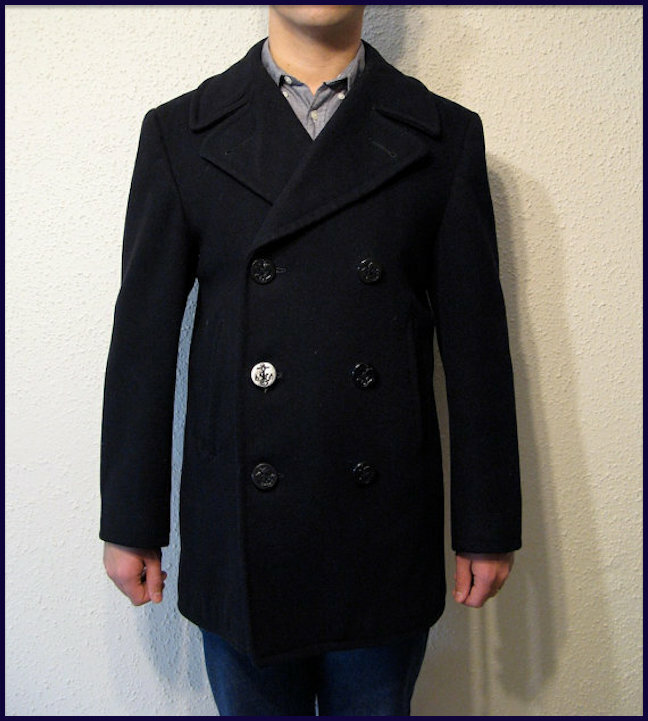 Shown below, a man in a navy blue kersey wool coat. KEYHOLE NECK: A teardrop or almond-shaped cutout closure at the top of a blouse or dress, to fasten it at the front or back of the neckline. KHAKI: A neutral earth tone, or a rugged twill fabric of similar color. Originally used for camouflaging soldiers in dry, arid, desert regions. More recently, a stylish element of college fashion. KID GLOVES: Gloves made from the hide of a baby goat. 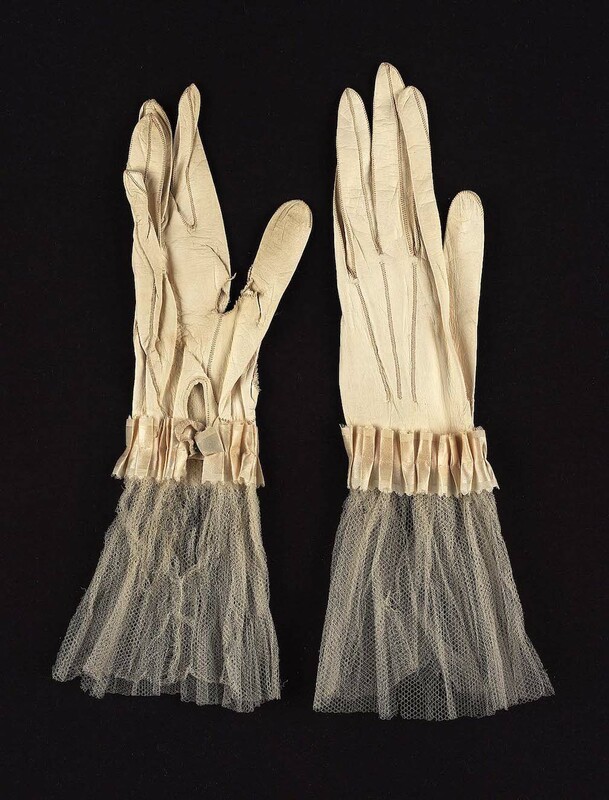 Shown below, a vintage pair of ladies' kid gloves on display at the Museum of Fine Arts in Boston. KILT: A knee length, pleated, skirt-like garment, also know as a plaid skirt for men. 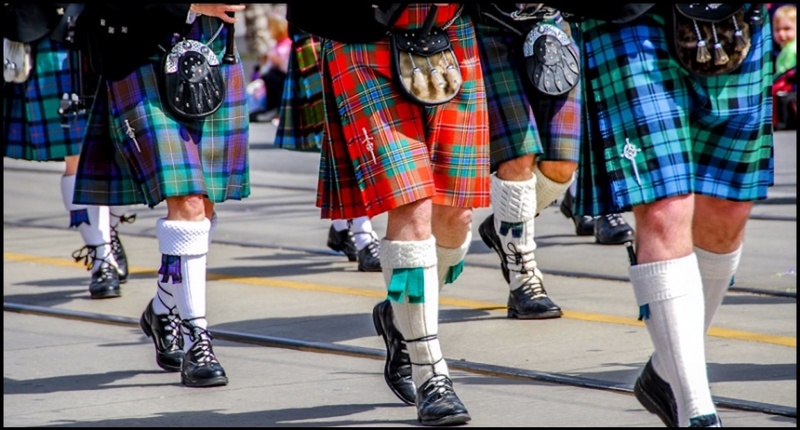 The kilt originated in the Scottish highlands. 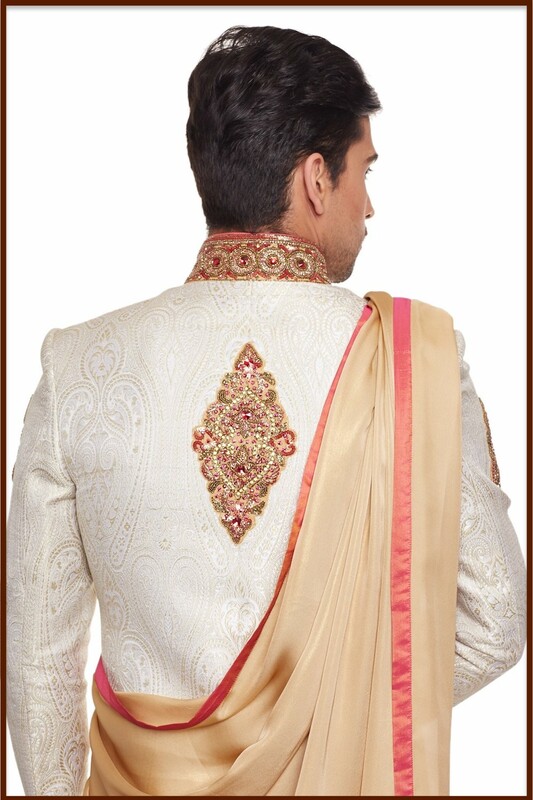 KIMKHAB: A yellow or white silk fabric brocaded with gold or silver metallic strips. KIMONO: A long silk robe with wide sleeves, traditionally worn with a broad sash. KIONDO: A hand woven, leather trimmed handbag of African design. KIPPER TIE: A colorful men's style necktie about five inches wide. Shown below, a kipper tie blouse from Diane von Furstenberg. 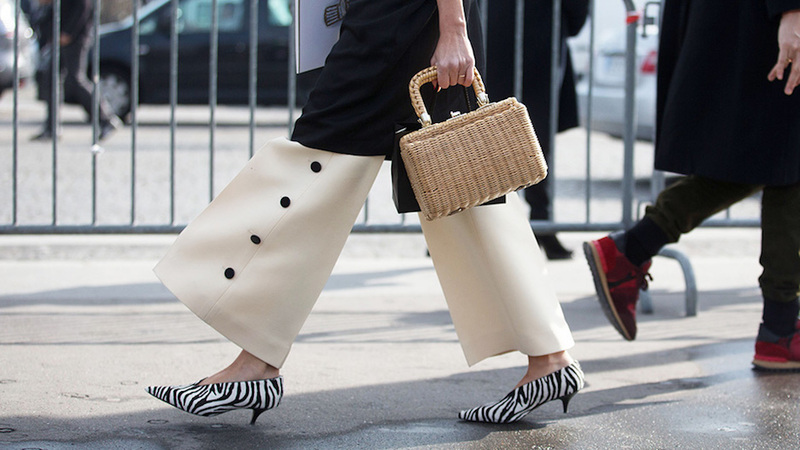 KITTEN HEEL: A short, narrow heel less than two inches in length, and less than half a centimeter in diameter where it touches the ground. KNEE-HIGH BOOT: A closed-toed boot that reaches up to the knee. Knee high boots are a popular college fashion statement. KNITTING: The process of interlocking loops of yarn to form a sheet of fabric or a garment. 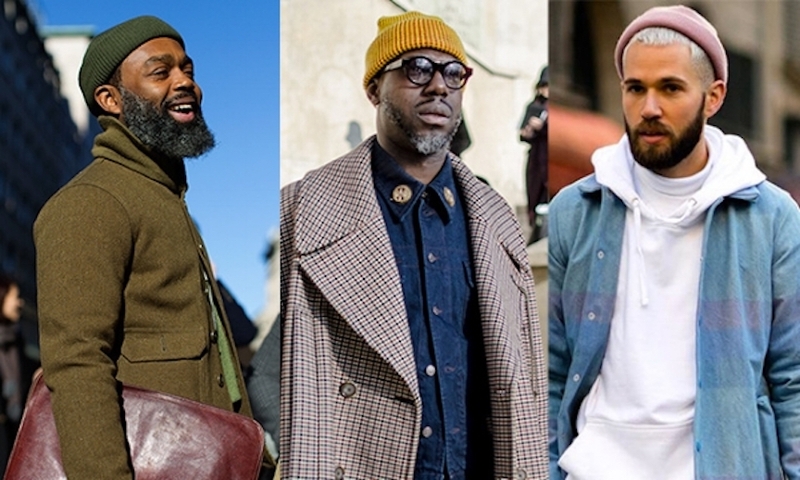 KNITWEAR: A term that refers to all knitted garments. KODEL: A brand of polyester patented by the Eastman Chemical Company. 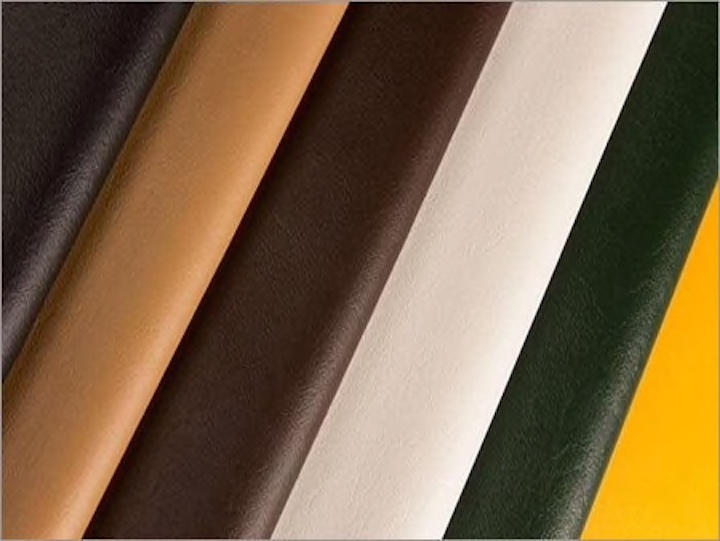 Shown below, a selection of Kodel artificial leather fabrics. KUFI: A short, brimless, rounded cap, traditionally worn by African men. Learn more about College Fashion Fashion Colleges Near You. See a list of FACTORY OUTLETS IN EVERY STATE for outlet stores with discounted prices on all your favorite college fashion brands.